Thanks to a generous gift by Jerry Fields (Texas State) needed renovations of the Headquarters Shrine have been underway through the spring and summer. The Headquarters Shrine has been repainted, had new doors installed, and had a complete landscaping overhaul. Sigma Nu Educational Foundation’s Ethical Leadership Center has also received some much needed renovations, with contractors replacing carpets, mattresses, beds, and completely refurbishing two bathrooms. These renovations were highlighted by the recent rededication of the Memorial Flag Pavilion to former Regent and Hall of Honor Member Bob Marchman (Emory). On June 22, 2013, members of Sigma Nu’s Educational Foundation board of directors gathered in Lexington for a memorial service honoring Marchman and Craig Haesemeyer (Iowa), a past member of Sigma Nu’s Educational Foundation Board of Directors. Haesemeyer served as secretary, president, chairman, and immediate past chairman of the Foundation. Haesemeyer and Marchman both had trees dedicated to their honor during the ceremony at the Headquarters Shrine. Haesemeyer was commemorated with a pin oak and Marchman with a pecan tree. Returning leadership consultants include Alex Taylor and Christopher Brenton. Alex Taylor (Huntingdon) joined the General Fraternity staff in June of 2012 and has returned for a second year. He is a graduate of Huntingdon College, and a founding father of the Nu Beta Chapter. Alex will consult chapters in the Southeast region. Christopher Brenton (NC State) also joined the General Fraternity staff in June 2012 and will continue to consult chapters in the Northeast region. Bill Morosco (Florida) now serves as an expansion and recruitment consultant and is the project manager for the Fraternity’s recolonization of the Epsilon Delta Chapter at Wyoming. Bill will continue to serve as a leadership consultant for the chapters in Colorado this fall. Bill joined the General Fraternity staff in June of 2012 as a leadership consultant. Ben Nye (Arkansas), who joined the General Fraternity staff in June of 201, will continue to consult chapters in the Gulf region as he assumes his new role as Associate Director of Communications. Drew Logsdon (Western Kentucky) will continue as Associate Director of Risk Reduction, where his primary responsibilities include consulting a select group of chapters and co-management of the Fraternity’s anti-hazing and risk reduction initiatives. Drew joined the General Fraternity staff in January of 2010. Drew will consult chapters in the Bluegrass-Ozarks region. Scott Smith (Central Arkansas) joined the General Fraternity staff in June of 2005 as a leadership consultant. He has served as the Director of Leadership Development since 2008, managing the consultant program and the Fraternity’s various educational initiatives. Scott will consult chapters in Oklahoma. 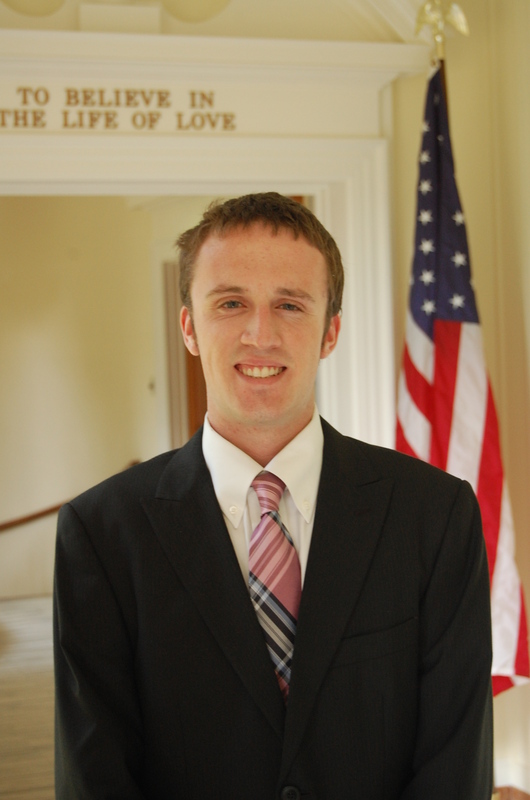 Spencer Montgomery (South Florida), who joined the General Fraternity in 2011, is now serving as the campaign manager for the Sigma Nu Educational Foundation. Spencer previously served as a leadership consultant and expansion and recruitment consultant. Ben Swisher, a Lexington, Va., native is now working for the Fraternity as facilities manager. Ben will oversee maintenance and renovation projects. Please visit http://www.sigmanu.org/programs/consultation/schedules.php to read the consultants’ full bios and view their travel schedules. The Delta of Sigma Nu won the Fred F. Yoder Award for Overall Excellence at the Fraternity Communications Association Annual Conference in St. Louis this past May. In addition to earning this distinction as the top Greek Life magazine this year, The Delta also earned 2nd place for Story Packaging – Coverage of an Event and 3rd place for Best Online Feature or Magazine. Thanks go to the award-winning graphic design team at Tria Designs and Freeport Press for helping The Delta earn this distinction. Recognition should also go to Merritt Onsa, Grand Historian Bob McCully, Mark Schlabach, Jay Langhammer and the many other writers who contributed excellent stories to the magazine this past year. 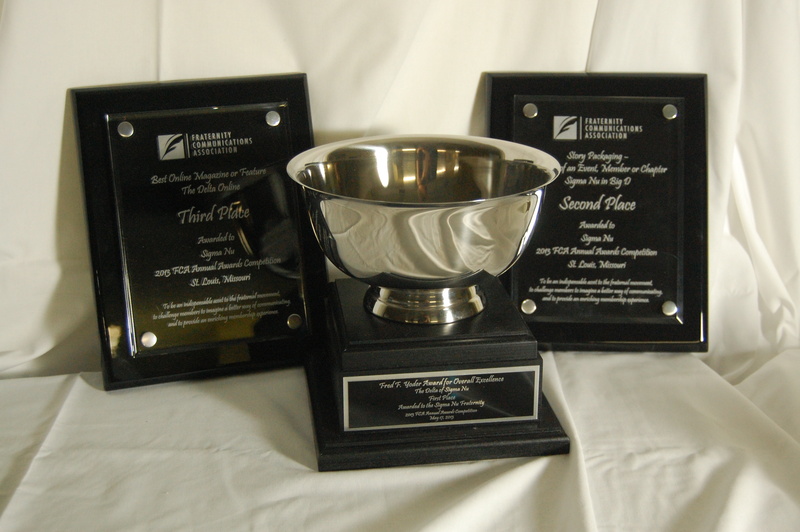 The Fred F. Yoder Award for Overall Excellence. Executive Director Brad Beacham (Texas Christian) completed last July his term as president of the Fraternity Executives Association (FEA). The FEA is dedicated to the professional development of the men and women employed by inter/national Greek organizations and promotes the values and advancement of the fraternal movement in North America. During Beacham’s term, the FEA hired its fi rst professional staff and completed development and delivery of significant new member development resources. Beacham is the fourth Executive Director of The Legion of Honor to serve as President of the FEA. Preceding him were M.E. Littlefield (Maine), Richard R. Fletcher (Penn State) and Malcolm Sewell (Kansas State). Great work on this guys! It’s good to hear the good news.